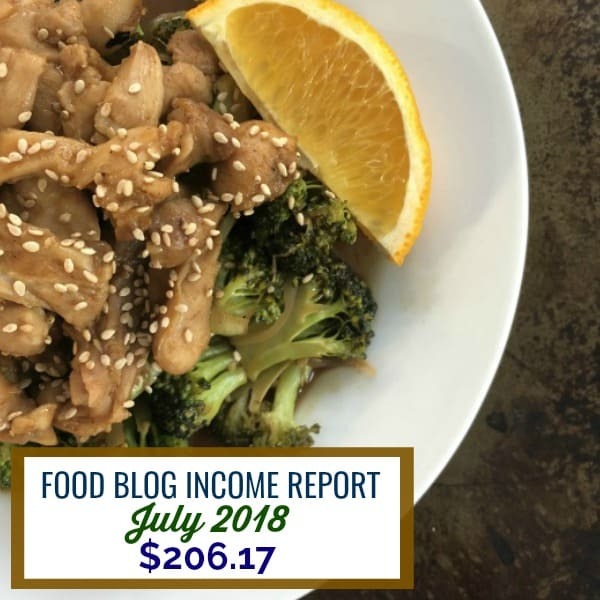 Blog Income Report July 2018 : Find out how I made $206.17 through my blog with various strategies. Welcome to my ffith blog income report! Last month, I talked a lot about the summer blogging slump and thought it was pretty bad but honestly…. JULY has been the worst month of traffic to date! It doesn’t help that I’ve had some crazy personal stuff going on as evidenced by my IG posts. I really didn’t have a Fourth of July set of recipes to bang out or promote so even the slightest bit of traffic there WAS to be had, I didn’t catch that wave. Even with traffic and recipe creation being so low, I was able to crank out an average amount of income thanks mostly to my recipe development job. This is a good sign because it means that it can only grow up from here! I admitted I had an issue with disordered eating: My last few blog income reports I mentioned that business was blowing up. I was making money, had little free time and put a lot of pressure on myself. Long story short, because things were blowing up, I naturally moved towards controlling tendencies which included what I ate. I post about this on my IG a lot, but I spiraled out of control to the point where I became obsessive to a point it was harming me. I mention it in this report because it had a direct effect on the time and energy I put into my blog which brings me to my next point. I slowed down in my life: I hit a wall personally and something had to give. In order to take care of myself, I needed to take time to deal with the many thoughts that came up. This meant I let go of a client that was no longer serving me and that I put blogging on the back burner. It’s funny because I put SO much pressure on myself to blog and constantly crank out recipes so I can see an ROI before my Whole30 takeover, but that became SO much less important to me. Now that I am beginning to feel better, I am going to blog more for fun but also not put all of my recipes in a diet box. I want to use ALL foods and have fun with it again instead of making sure that EVERYTHING is keto or Whole30. I’m slowly finding the joy in it again. JULY IS TERRIBLE FOR FOOD BLOGGERS: I explained this up above in the first paragraph but it just comes with the territory. Now I know that I need to push all the summer recipes I made this year for next year and possibly use that time that I know it’ll be slow to work on a project or something new. Who KNOWS what I will be into by then!! I finished up my third month with GourmetAds: I have decided to keep gourmet ads on my site. At this point it makes JUST as much as adsense so I see no reason to not double dip ad networks. I am also finding that each month I use it, the payout increases ever so slightly. I am interested to see if it goes up or down once the higher traffic months come along. Recipe Development Opportunities: At this point I am continuing to work with The New Primal with a couple different projects including recipe development as paid work. I haven’t reached out to any other companies yet but I am fine with this for now. I really love working with The New Primal and they have plenty of amazing things and products on the way that I can continue to play with. 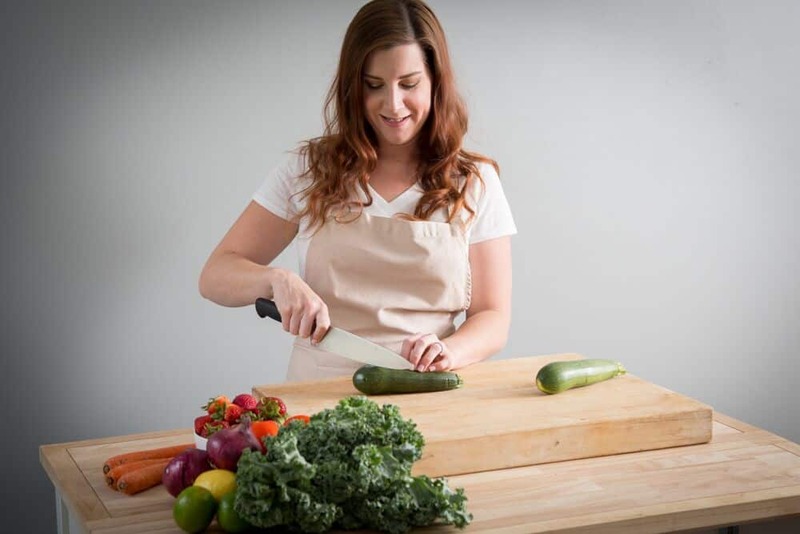 I started using Chicory: Chicory reached out to me to see if they were interested in me having small ads within my recipes. The first month brought in a few dollars so I am still continuing to try it out to see if it’ll be worth it in the long run. My thought is yes because I ultimately want to use a bigger ad network when my numbers grow and that happens to be supported by chicory. This was a quote I left in from the June income report. Honestly I do feel the push to get all of these things done, but it feels like a different pressure. Kind of like one that feels more light and fun rather than something I HAVE to do perfectly. My mindset has definitely changed around my blog in the last few weeks so I am interested in seeing how it goes!